Syed Razak said Malaysians should welcome the sale of Proton to Chinese automaker Geely with open arms “to save Proton and as many jobs as possible”. “And, whatever Dr Mahathir wants to say or argue, he must admit that Proton is his failure. After decades of bailouts, it is time to stop bleeding the federal government’s coffer,” he added. Syed Razak, who is Gerakan’s nominee to contest N.37 Bukit Lanjan in the coming 14th General Election (GE14), said unlike Proton, “Perodua has remained relatively strong and competitive in the car industry”. “Comparing the managements of Proton and Perodua, the latter seems to have a far more competent outfit. Perodua has significant Japanese interest, with Daihatsu (a wholly owned subsidiary of Toyota Group) in the management board. “This could be one of the many reasons why Perodua is still growing stronger by the day and Proton is on a free fall in the car industry,” he added. Syed Razak said Proton’s failure was solely due to Dr Mahathir’s “visionary pride and ego”, going into an extremely competitive global industry “unprepared or ill-prepared”. “You only venture into such an industry when you are ready with the innovative workforce and management. Pride and ego will get you nowhere,” he added. Syed Razak said it was, therefore, a wise decision by the current federal government to “give up on Proton”. “Like what they say in the stock market, cut the losses while you can,” he added. 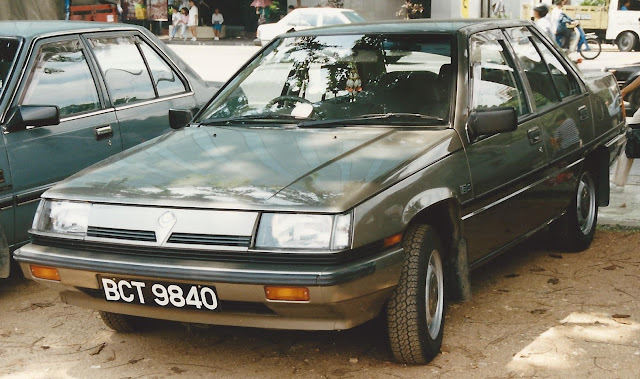 Earlier headlines on sale of Proton. PARIS/BEIJING: Chinese automaker Geely has agreed to buy struggling Malaysian manufacturer Proton from DRB-Hicom, sources said on Tuesday, beating out rival bidder PSA Group. Zhejiang Geely Holding Group, which controls Hong Kong-based Geely Automobile and Sweden's Volvo Car Group, will acquire 49 percent of Proton, the sources said. Proton also controls British sports car maker Lotus. 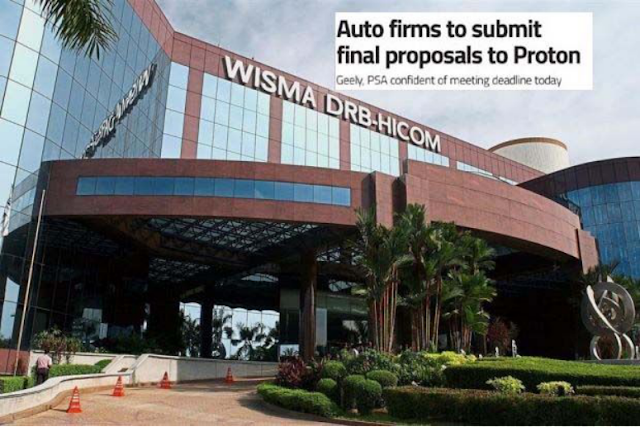 Spokespeople for DRB-Hicom could not immediately be reached for comment after office hours in Kuala Lumpur. The group earlier asked for trading in its shares to be suspended pending an announcement. Proton, founded in 1983 by former Malaysian premier Tun Dr Mahathir Mohamad, received 1.5 billion ringgit ($338.2 million) in government aid last year on condition that it pursue a turnaround plan and seek a foreign partner. Other potential bidders have included PSA, the Paris-based maker of Peugeot and Citroen cars, its domestic rival Renault and Japan's Suzuki Motor Corp.
PSA, whose Chief Executive Carlos Tavares had said Proton would be a good fit, did not immediately return calls and messages seeking comment. Proton re-badges cars from foreign manufacturers to sell in the local market, but its quality has declined in recent years. The company has two Malaysian plants with an annual capacity of 400,000 cars, currently running far below maximum output. Geely's investment would help Proton grow its sales overseas and recover some of the global presence it has lost in recent years, people familiar with the bidding process told Reuters in February. By offering some of its own technology, Geely hopes to lift Proton's sales in right hand-drive markets including Malaysia, the United Kingdom, India and Australia, they said.The success of midsize Geely models such as the GC9 sedan and Boyue SUV helped to grow the brand's China sales by 50 percent last year to 765,851 vehicles. - Reuters"